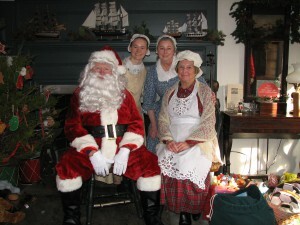 Bring the kids to share their Christmas wishes and take photos with Santa and Mrs. Claus at the Smith-Appleby House on Sunday, Dec. 4, from 1 p.m. to 4 p.m. 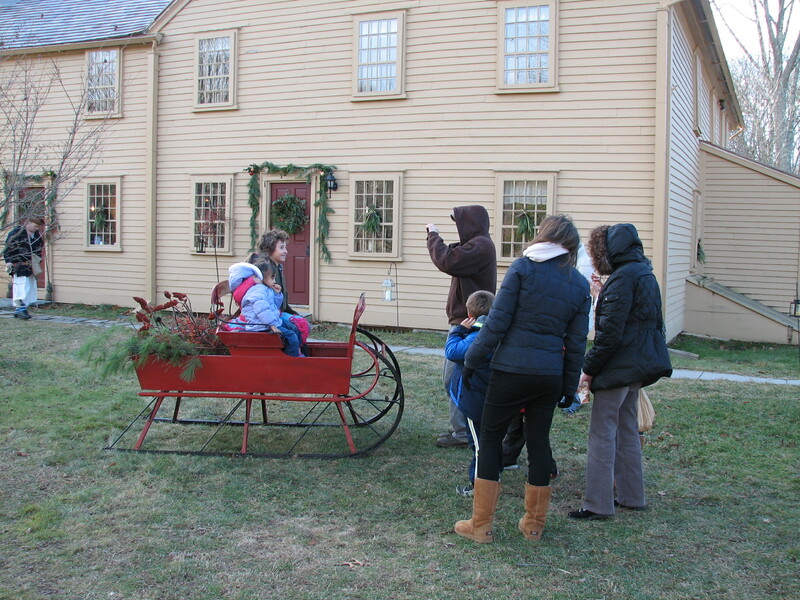 Visitors will also enjoy homemade holiday treats as volunteers in Colonial-period dress present the story of the historic 315-year-old family farm home. There is a $5 donation for adults. Children are free. No reservations are needed. The annual event is hosted by the Historical Society of Smithfield, RI. 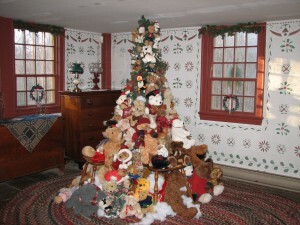 Visit the Smith-Appleby House at 220 Stillwater Road in Smithfield, RI, just off I-295. 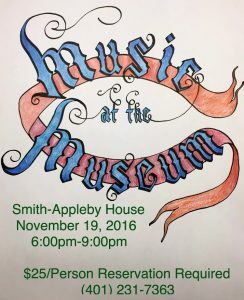 For more information, call (401) 231-7363 or email contact@smithapplebyhouse.org. The Smith-Appleby House is located at 220 Stillwater Road in Smithfield, RI, just off I-295. 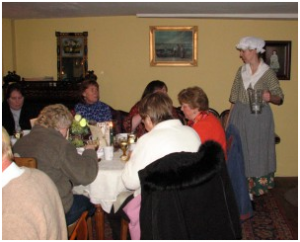 The House is owned and operated by the Historical Society of Smithfield, RI, as a living museum hosting a variety of educational activities, programs, and events throughout the year. Group tours are available for schools, scouts, and other community organizations. The House and property, listed on the National Register of Historic Places, are also available to rent for private events. For more information, visit the website at https://www.smithapplebyhouse.org or contact us by email at contact@smithapplebyhouse.org or by phone at 401-231-7363. Follow the Smith-Appleby House on Facebook at http://facebook.com/SmithApplebyHouseand on Twitter at http://twitter.com/SmithAppleby. Please join us at our third annual Smith-Appleby Antiques, Collectibles, and New England Crafts Show on Sunday, October 4, 2015, on the grounds of the Smith-Appleby House, 220 Stillwater Road, Smithfield, RI. From 10 a.m. to 5 p.m., visit antique dealer booths featuring historic, vintage, and collectible items. See a live blacksmith demonstration, spinners, and a wool demonstration. There will be many quality craft artisans’ booths of handmade soaps, baskets, various country items, baked goods, and more. 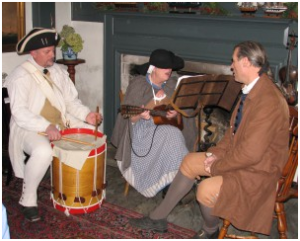 In addition, everyone is encouraged see and hear what daily life was really like in Colonial Rhode Island during the American Revolutionary War era — by taking a tour of the rooms and exhibits of the historic Smith-Appleby House. Tours are led by educators and history enthusiasts in Colonial dress. The Smith-Appleby Antiques, Collectibles, and New England Crafts Show will run from 10 a.m. until 5 p.m., rain or shine. Admission to the show is free. House tours are $5 for adults and free for children. 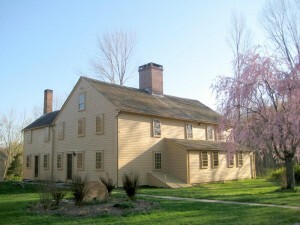 The Smith-Appleby House is located at 220 Stillwater Road in Smithfield, RI, just off I-295. 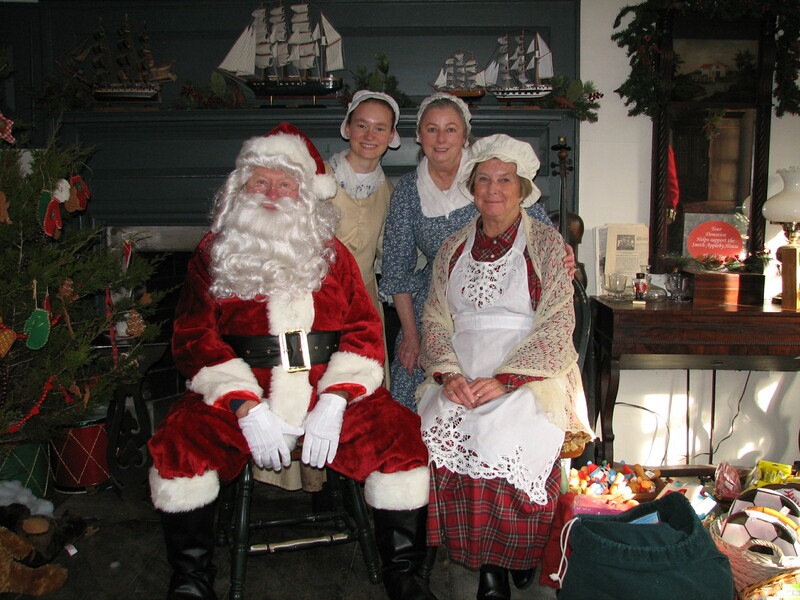 The House is owned and operated by the Historical Society of Smithfield, RI, as a living museum hosting a variety of educational activities, programs, and events throughout the year. Group tours are available for schools, scouts, and other community organizations. The House and property, listed on the National Register of Historic Places, are also available to rent for private events. For more information, visit the website at https://www.smithapplebyhouse.org. Follow the Smith-Appleby House on Facebook at http://facebook.com/SmithApplebyHouse and on Twitter at http://twitter.com/SmithAppleby. SMITHFIELD, RI — Make your own sailboat and participate in the “Rain Gutter Regatta” at the Smith-Appleby House Museum in Smithfield, RI, on Sunday, July 12, from 1 p.m. to 4 p.m.
Children of all ages are invited to attend our free workshop to build their own sailboat — and then sail it in competition with their friends and family in our friendly boat races. After the workshop, you’re invited to tour the rooms and exhibits of the House, which dates to 1696. It was built by Elisha Smith, the grandson of John Smith “The Miller,” a member of Roger Williams’ original party of six men who left the Massachusetts Bay Colony to settle in Providence. Expanded from its original construction as a one-room stone-ender cottage, the delicately restored 12-room historic farmhouse features beautiful cabinet work, varied architectural designs, original stencils, and furnished rooms showcasing an intriguing collection of antiques. The workshop is free. For museum tours, the adult admission is $5 and children are free. Both are part of the Rhody Ramble series of family adventures in Rhode Island.